On this season’s awards required viewing list is Golden Globe nominee and Oscar Best Foreign Film finalist “Leviathan,” which comes from Russia. Its poster shows a young boy sitting on a rock facing a giant skeleton of an animal that brings to mind the biblical sea monster from this film’s title. As is often the case, a monster or even the sea itself has little to do directly with this film, but the starkness of the poster is an appropriate representation of this film and its sober themes of holding on to what you have while it’s still there. 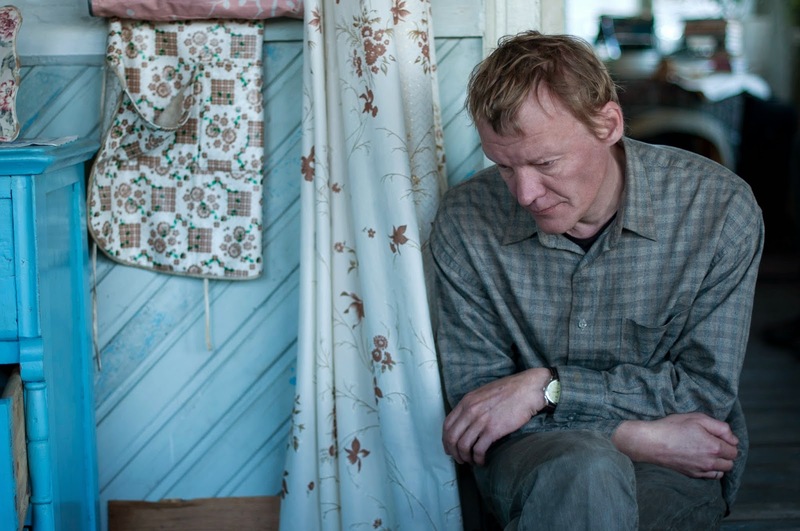 Kolya (Aleksey Serebryakov) is a husband and father who has lost numerous appeals to keep his home from being demolished. His friend Dima (Vladimir Vdovichenkov) arrives to help with his legal woes, but it’s clear that Kolya has many more problems than just the threat of losing his home. His wife and son do not get along, and neither is particularly happy with him on a regular basis. Kolya is also a drunk, ingesting generous amounts of vodka at an alarming rate, and therefore when the corrupt mayor (Roman Madyanov) shows up on his doorstep in the middle of the night to tell him how worthless he is, it’s simply two drunk men arguing loudly at each other, both largely unsympathetic. Since Kolya is the one losing his land, he is the more endearing of the two, and he’s made considerably more likeable by the kindhearted efforts of Dima, who rides into town with a plan to hold off the mayor and convince him that it is not in his best interest to go after the defenseless Kolya. It’s hardly that easy, of course, and, as can be gathered from the film’s bleak tone, things are going to get much worse before they get better. Though it is a grim and unoptimistic film, “Leviathan” is a strongly-made spotlight on a group of characters guided by the stoicism of their lives. This is not a conspiracy thriller where Dima will find himself whacked for attempting to blackmail the mayor, but rather one where he will prove unsuccessful with little to show for his efforts and no one to care about his failure. At 140 minutes, it’s difficult to connect and stay enthralled the entire time, but this journey may be just right for those craving a depressing visit to one lonely but intriguing spot.